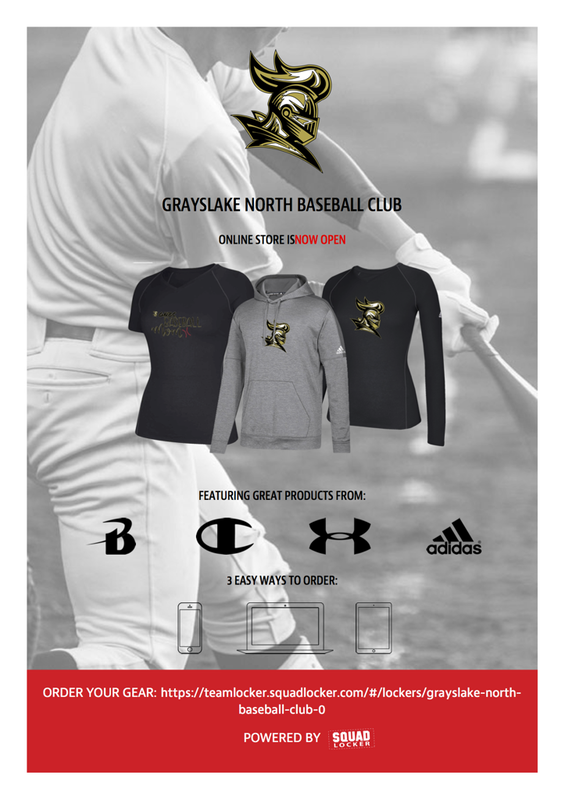 Grayslake North Baseball Club is organized to provide the communities that are within the school district of Grayslake North High School with a structured, competitive pre-high school travel baseball program. The program promotes teamwork, sportsmanship, and the development of skills with the goal of preparing athletes for competition at the high school level. We field four teams: 11U, 12U, 13U and 14U. Each team will compete in a travel league and 4 travel tournaments throughout the season. Our teams participate in tournaments such as the Cheesehead Championships in the Wisconsin Dells, the All-star Village Tournament in Cooperstown, NY, and in the Cal Ripken tournament in Myrtle Beach, SC. Click on the link to register your player. CLICK ON THE IMAGE TO ORDER YOUR GNBC GEAR! GAME DAY GEAR FOR PLAYERS! HOW TO GET A GNBC WINDOW DECAL!